It’s a great time to live and work in Jeffersonville! Named one of the Top 10 Places in Indiana for Job Seekers, the future of the local job market looks bright. “Today you look around Jeffersonville and can’t help but see the progress we’re making. Our City is on the move!” said Mayor Moore during the State of the City Address. From 10th Street to River Ridge Commerce Center, exciting business ventures are springing up throughout Jeffersonville. 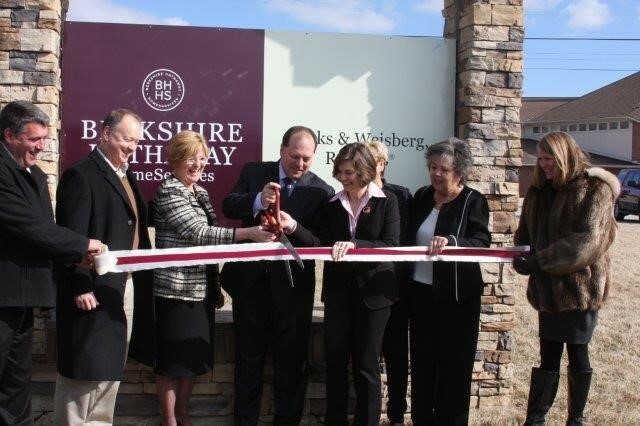 Mayor Moore cut the ribbon at the Brookshire Hathaway Home Services at 2308 E 10th Street on February 26, 2014. In addition, a cyber-defense software company, Rivera Consulting Group, Inc. may bring 120 jobs averaging $105,000 a year to Jeffersonville. Jeffersonville has provided incentives to entice the company to build the new headquarters in Jeffersonville. 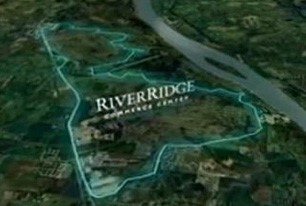 With the support of Mayor Mike Moore and Governor Mike Pence, there are large businesses that have allowed for monumental growth in Jeffersonville located at River Ridge Commerce Center’s 6,000 acres of land, along Highway 62. Businesses include Amazon, Manitowoc and, the newly opened, Briova Rx.